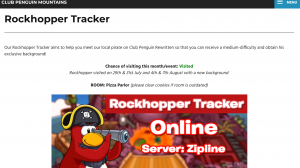 Update: Rockhopper also visited today, 8th August, on Ascent and was tracked by the tracker. Congratulations if you met him, and good luck next time if you didn’t! Was a very fun mascot meet up! I do notice everyone always asks the mascot for a postcard, is this just a myth or do they legitimately sometimes send postcards? Thanks! Awesome, glad you met him! Mascots used to send postcards, but they don’t anymore. That’s why a lot of people ask for “signings” instead, as mascots still do those! does signings do any effect on items? Aww. I missed him again. Hopefully I will meet him one day. Will this be his last visit for the party? Probably not, but this hasn’t been confirmed. 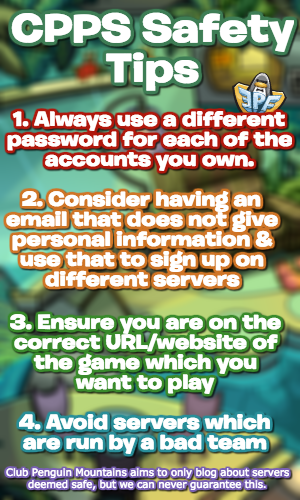 Any update on the treasure hunt stamps and the Snack Shack and Out at Sea stamps? Do you think Gary will come with the background in future parties? 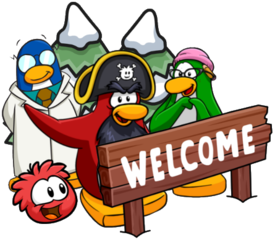 His bg seems to be more epf-construction themed than adventure party.